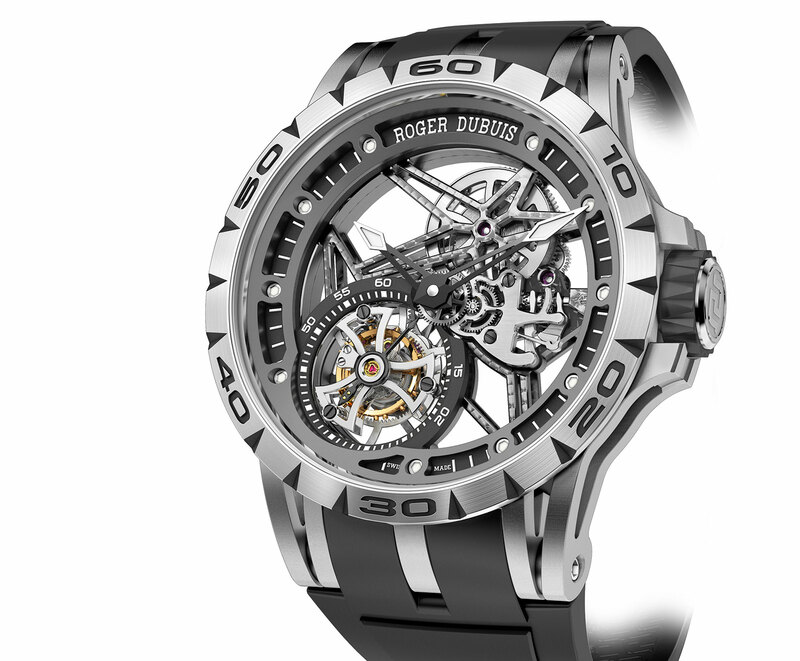 Roger Dubuis’s quintessential skeleton flying tourbillon is now paired with an open-worked titanium case, bringing to the minimalist yet theatrical aesthetic of the movement out into the watch case. With its star-shaped bridge and linear architecture, the Roger Dubuis skeleton tourbillon is instantly recognisable. Though it has evolved over the last few years, the Excalibur tourbillon has remained largely the same, until now. 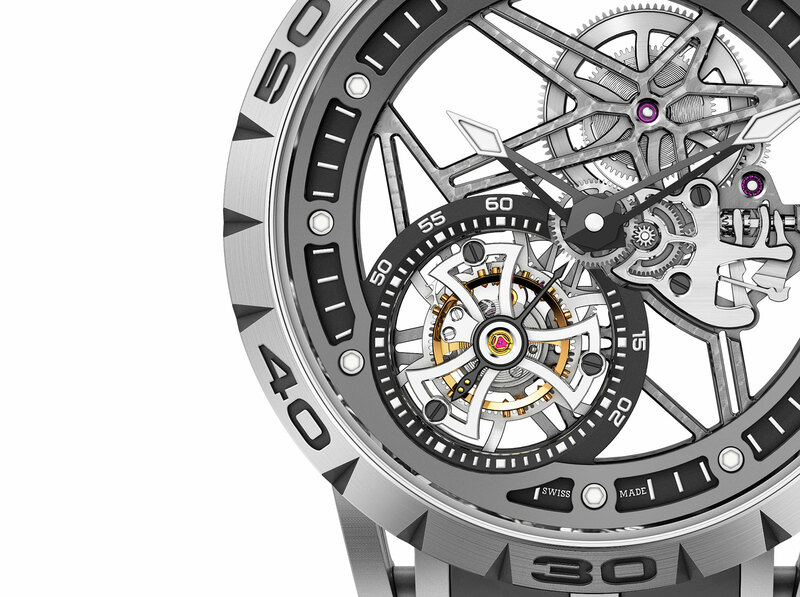 The Excalibur Spider Skeleton Flying Tourbillon is very large but also light: the oversized, 45 mm case has been skeletonised, with much of the material removed. The bigger brother of the Excalibur Automatic Skeleton also to be launched at SIHH 2015 next month, the Excalibur Spider keeps the key design elements of the Excalibur, namely the notched bezel and triple lugs, but much of its mass has been hollowed out. The lugs and case flanks for instance are all open-worked, as is the chapter ring around the movement. 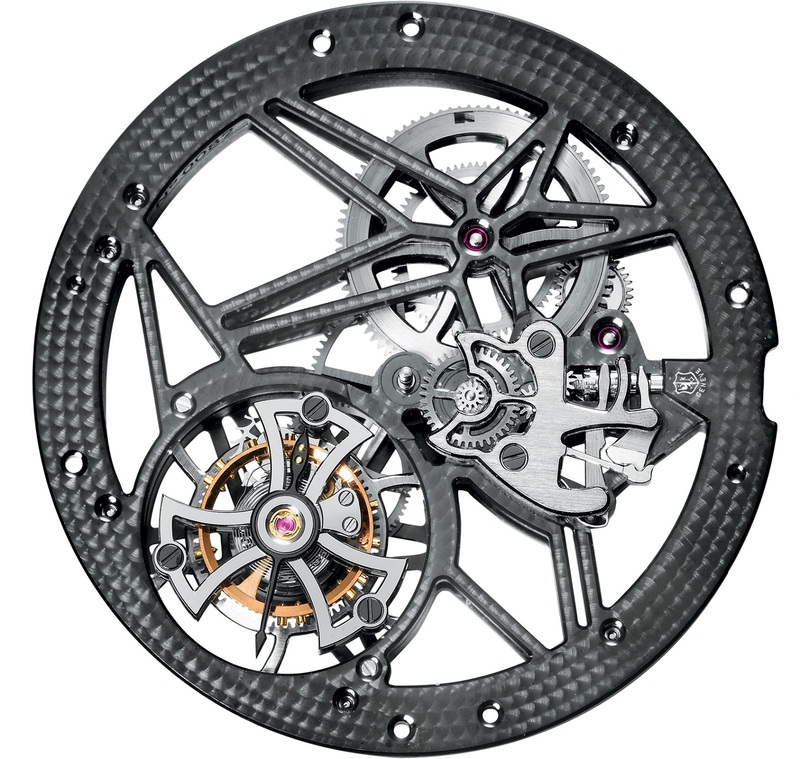 The RD505SQ movement is the same calibre that powers the other Roger Dubuis skeleton tourbillons. Hand-wound with a 60 hour power reserve, the movement has the Geneva Seal. 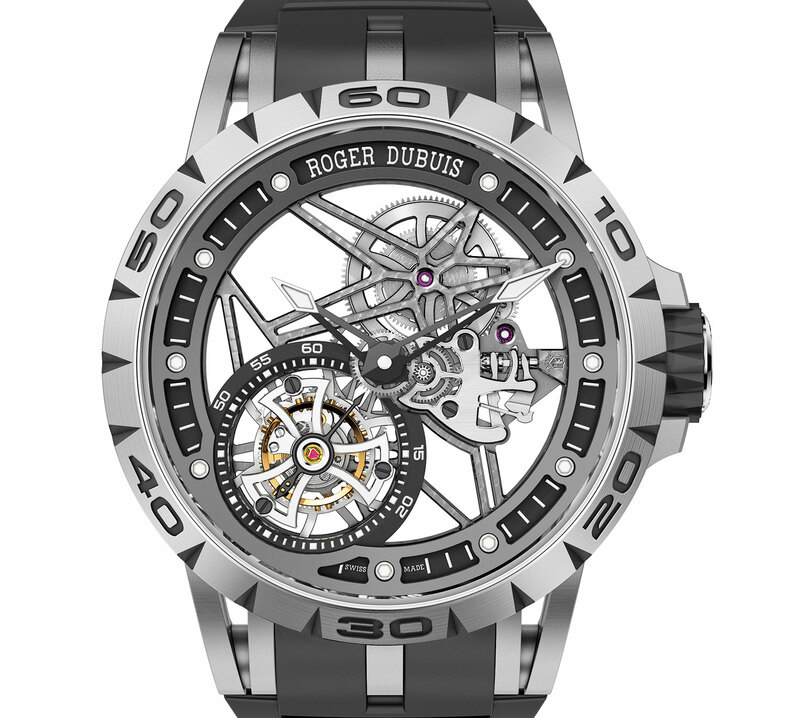 The Roger Dubuis Excalibur Spider Skeleton Flying Tourbillon is priced at 213,000 Singapore dollars, equivalent to US$170,000.